A black bean dip recipe with corn, greek dressing and topped with feta cheese that is 21 day fix approved is exactly what I needed as I started my journey as a new “fit” master. Yes, you read that right. 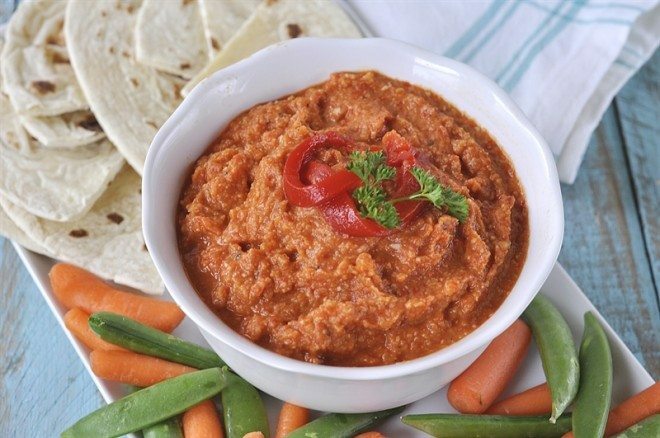 A “fit” master and this black bean dip recipe is one of my favorite snacks to get me there. This is a sponsored post on behalf of Crunchmaster. All opinions are my own though. I am getting to an age where I can no longer say that the extra weight I’m carrying around is baby weight. My babies are eight and four years old so that doesn’t cut it anymore. We’ve had some recent health scares and tragedies in my family that have lit a fire under my behind for me to get back to a healthy weight and fitness level. So starting January 1st I’m making healthy choices to become a “fit” master. Don’t roll your eyes! You thought I didn’t see that, didn’t you? This is not one of those lame New Year’s resolutions where I say I’m going to lose 20 pounds. It would be great if that happened along the way, but my outcome goal was to become a “fit” master. In order to become a “fit” master. I determined that I needed to declare at least two performance goals. The first is that I will get to bootcamp at least five day per week. The other is that I’m going to eat healthy and follow the guidelines of the 21 day fix. For me that means less carbs then I would like to eat. Believe me when I say this girl can eat a carb like no one you’ve seen. I put my husband to shame. Clearly my love of carbs and my “fit” master goals are getting in the way of each other so I teamed up with Crunchmaster to create some recipes perfect for their crackers. 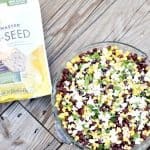 This black bean dip recipe is just the first of many to come and they are all going to be 21 day fix approved and delicious! Now, before I dive into how simple this recipe is because you all know that I’m all about simple, I have to just sing my love for Crunchmaster. And no, I’m not singing my praises because I’m being paid to. We literally go through 3-5 bags of Crunchmaster crackers per week! Seriously! They are just that good. They come in a variety of flavors like sea salt, rosemary & olive oil, applewood smoked bbq, garlic, white cheddar and a bunch more. Here’s the kicker though. Crunchmaster crackers are made with a blend of whole grains and seeds. They are gluten free and don’t have any artificial flavors. They’re even a good source of fiber. Oh and did I mention that they taste amazing! I’m even snacking on a handful as I write this. No joke! You could definitely get away with doubling the Greek dressing recipe. We’re just trying to make sure that we keep it 21 day fix approved. 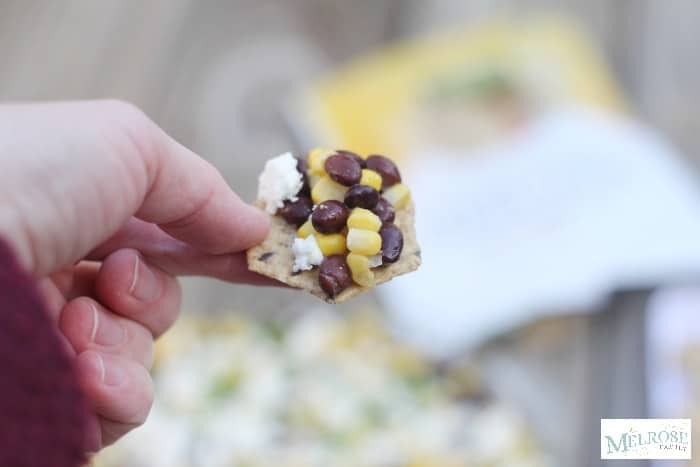 10 crackers with the black bean and corn dip on top would be 1 yellow, 1 orange and 1 blue container. 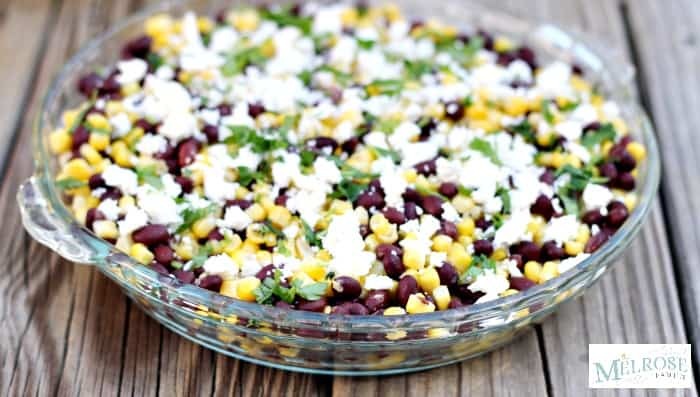 For 21 day fix corn and black beans are considered a carb technically, but let’s be honest here, it’s not a terrible carb so don’t feel guilty. You want to be sure to rinse your black beans before adding them to the black bean dip. We had fresh parsley in the refrigerator but you could definitely garnish this with oregano or cilantro as well. 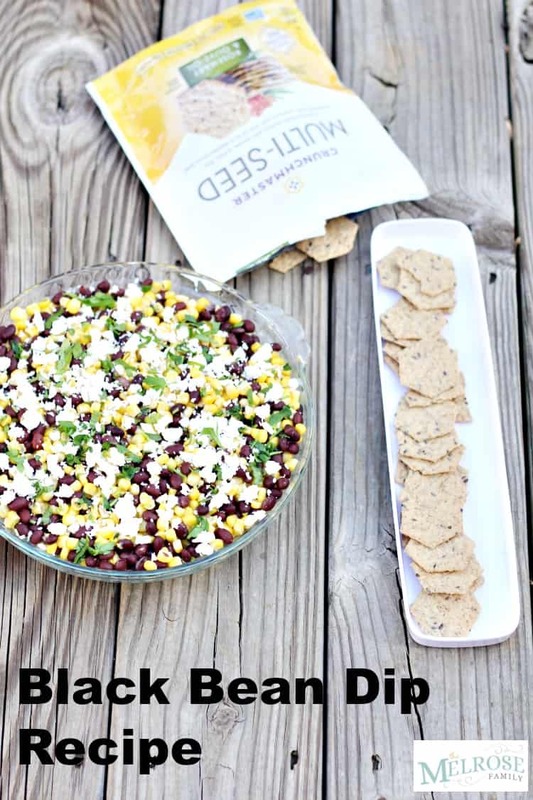 Black bean dip recipe is a 21 fix approved snack recipe that combines black beans, corn and Greek dressing, while getting topped with feta and parsley. 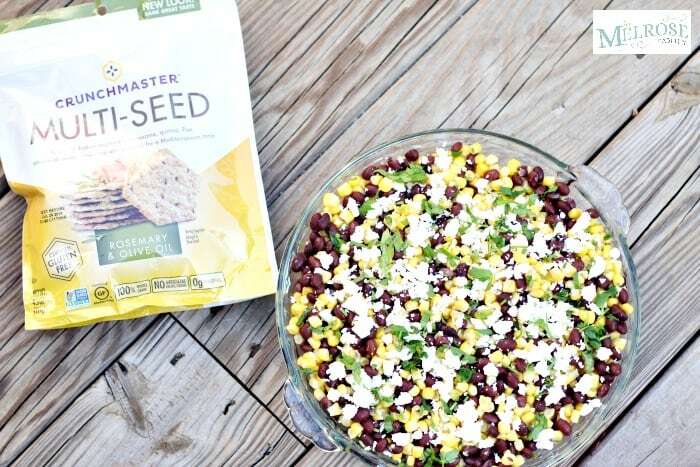 Black bean dip recipe combines black beans with corn and Greek dressing and is topped with feta and parsley. Serve with Crunchmaster Rosemary & Olive Oil crackers. 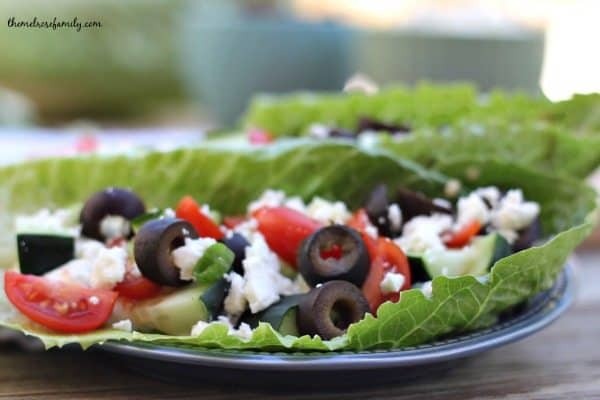 Combine all of the Greek dressing ingredients in a small bowl and set aside. Combine the black beans and corn in a large bowl. 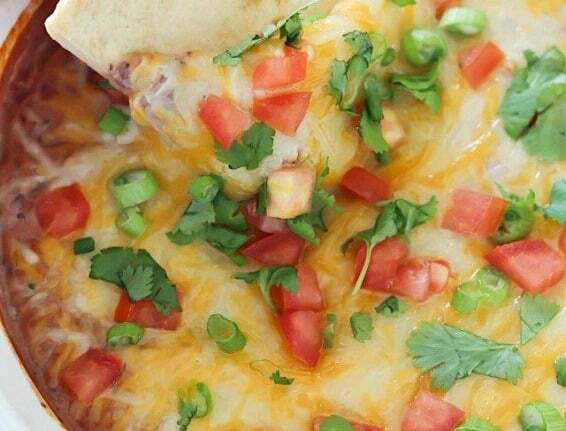 If you liked this Black Bean Dip Recipe you might also like….